If you need a little motivation to get the gym, grab a friend and come check out our group fitness classes. 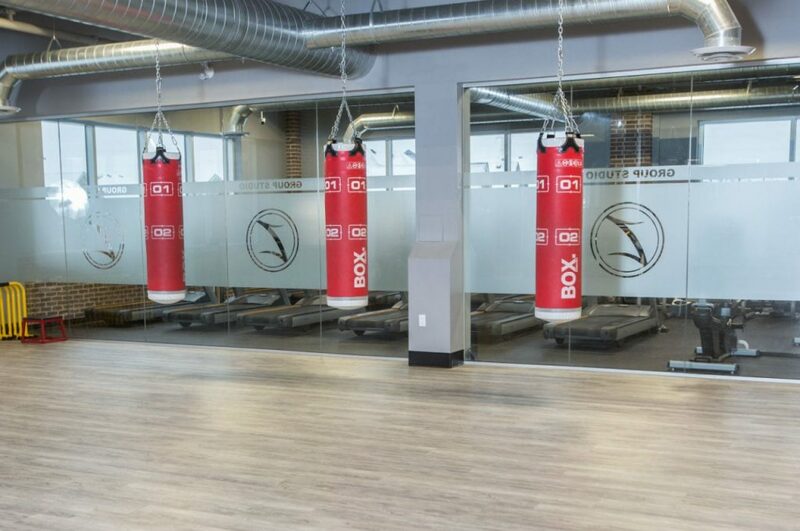 At our health club in Brampton, we offer three spacious studios to suit our group classes, including spinning, yoga and group exercise programs. We offer spinning, HIIT, Zumba, and boot camp classes. If you are looking to work out with friends or need some accountability, then these classes are perfect for you. Our instructors are more than excited to welcome you to a class, so don’t hesitate. Contact us today to see our large group class schedule and learn more about how you enroll in these classes to get moving! Build strength, add definition, increase bone density and decrease body fat by INCREASING lean muscle. Build your overall core strength while increasing your flexibility in this amazing class for all fitness levels. This fast-paced, fat-burning workout is a combination of strength training, cardio drills and core conditioning. Turn your fitness up a gear with Cycle Fit. This indoor cycling class is a high energy, fun group workout focusing on endurance, strength & intervals. A fun and energizing group cycling class designed for all fitness levels. It involves various cycling drills that offer an exhilarating cardio workout. This class combines dynamic choreography with the hottest music from around the world. Higher and lower-intensity dance sequences will get you moving, sweating, and motivated. Cross-Cultural Fitness. Bhangra is a cross-cultural dance that combines Bollywood-style moves with Bhangra, a traditional Indian dance. A flowing, dynamic sequence of poses that is one of the most popular styles of yoga. This type of practice involves synchronizing the breath with a continuous flow of postures. Combine kickboxing style training and Plyometrics for a total body burn. Strength training at its finest. Build lean muscle and get pumped in this entire body workout. Ride on! Get your heart rate up and your sweat on with this cycling class. This less intense yoga class is perfect for those looking to de-stress and find their zen. A combination of Yoga/Pilates-style moves will get you lengthening and strengthening muscles you didn’t even know you had! Connect your mind and body with this yoga class for all levels. A midweek cycle class that will leave you feeling energized. A fuzion of mind, body, and spirit. Work on holding poses while focusing your mind in this 60-minute yoga class. A yoga class designed to help you relax and stretch after a long day. Start your day off right with this 45-minute yoga class. To energize for the rest of the day! Fuzion Fitness does not guarantee results, which can vary from individual to individual.